New U.N. sanctions on North Korea may take a heavy toll on its economy but are unlikely to have much impact on Kim Jong Un's rapidly advancing nuclear weapons program. In a tweet on Saturday, President Trump hailed the new measures: "United Nations Resolution is the single largest economic sanctions package ever on North Korea. Over one billion dollars in cost to N.K." Experts, however, expressed doubt over how strictly the latest attempt to slash North Korea's earnings from coal, iron ore and seafood will be enforced. And even if the new sanctions do cut export revenues by more than a third -- as the U.S. expects -- will that be enough to make Kim change course on developing nuclear missiles? "Probably not," said John Delury, a professor at Yonsei University in South Korea. "Because one thing [North Korea is] good at is taking pain." The U.N. Security Council has hit North Korea with layer after layer of sanctions since 2006, but the moves have failed to thwart the country's nuclear ambitions. Last month, it carried out two ballistic missile tests, setting off fears that the U.S. mainland is now within its reach. North Korea has "an impressive track record over its whole history, going back to the 1940s when it was founded, of being able to ... weather virtually any kind of economic pressure," Delury told CNN. "This is not the kind of regime that is easy to bring to its knees." The new U.N. resolution goes further than previous sanctions by aiming to cut deeper into the wider North Korean economy. It received the backing of China, North Korea's main ally and economic partner, but some analysts are skeptical Beijing will fully comply in practice. "The $1 billion number depends on China implementing the U.N. sanctions, we only have 11 years of evidence they will not do so," tweeted Anthony Ruggiero, a former official at the U.S. State and Treasury departments. 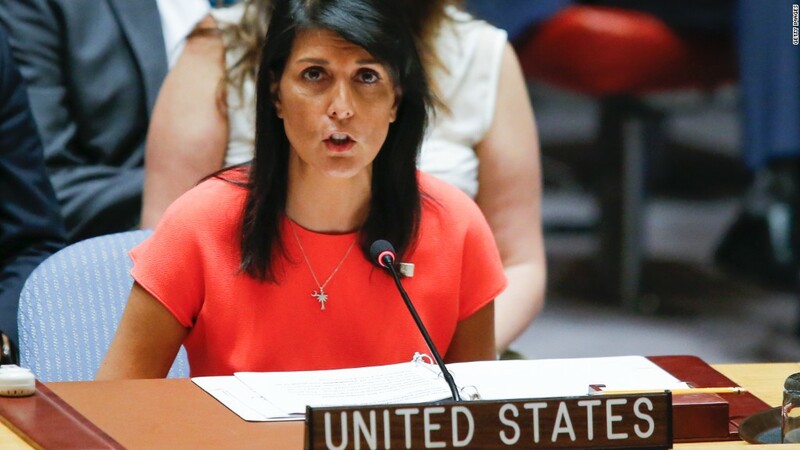 A U.N. report earlier this year warned that the enforcement of existing sanctions on North Korea by countries around the world "remains insufficient and highly inconsistent." Secretary of State Rex Tillerson acknowledged the problem of enforcement on Monday, telling reporters that the U.S. would be "monitoring that carefully and certainly having conversations with any and all that we see who may not be fully embracing not just the spirit of those sanctions but the operational execution of those sanctions." Beijing has found itself caught between Trump's demands to put greater pressure on Kim's regime and its own desire to keep North Korea as a strategic buffer against U.S. influence in the region. By supporting the latest U.N. resolution, Beijing may have dodged -- for the time being -- U.S. sanctions against Chinese companies that are suspected of doing business with the North Korean regime. Last week, Trump signed a new bill that gave him additional authority to punish such firms. Many analysts had expected him to use it soon -- but that was before China's backing of the new U.N. resolution. "Elements of the Trump administration will now argue China and Russia need time to implement the resolution," said Ruggiero, now a senior fellow at the Foundation for Defense of Democracies in Washington. "That happens in every administration and is part of the failed N.K. sanctions policy that got us into this mess." However, any breathing room China has gained isn't likely to last long, according to Tong Zhao, a fellow at the Carnegie-Tsinghua Center for Global Policy in Beijing. 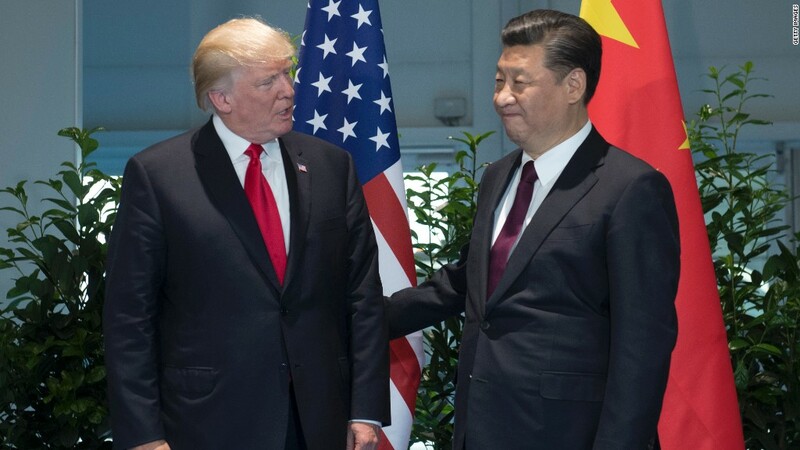 Chinese President Xi Jinping wants to keep the U.S.-China relationship steady, especially with a key Chinese leadership meeting approaching in the fall. But he won't tolerate measures that risk pushing the North Korean economy toward collapse. "It's a serious dilemma for China," Zhao said. "I don't see any sustainable solution going forward if they continue in this direction."